Priyanka Chopra is busy in Hollywood industry but she is not ignoring Bollywood. 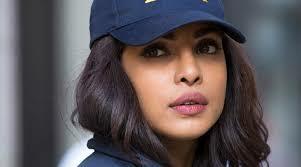 Priyanka Chopra has three films in her kitty and would reveal them once she get the clarity of 'Quantico 3' schedule. In a recent press conference, the actress said, "I have locked three films, but I cannot announce them now. Once I have a clarity on ' Quantico 3', only then I will be able to let you know. I currently don't know. It will be clear only in June." When asked if she is in talks with ace filmmaker Sanjay Leela Bhansali for a movie, Priyanka Chopra said, "I haven't spoken to him. We have spoken about other films but not 'Padmavati'. I am lucky I got to see few glimpses of 'Padmavati'." The 'Quantico' star threw a bash for her close friends to celebrate the success of her Marathi debut film 'Ventilator' which won three National Awards at the 64th National Awards 2017.